Bill Gates was born to prominent lawyer William H Gates II and his wife Mary Maxwell Gates on 28th of October 1955 in Seattle, Washington. At the age of 13, Gates joined the Lakeside School, where he would befriend Paul Allen and develop an interest in computers. Encouraged to be a lawyer, Bill joined Harvard choosing a pre-law major before being drawn towards his love for computers. He would establish Micro-Soft in 1975, launching the career of one of the most prominent businessmen of the late 20th and 21 century. Bill Gates would become the richest man in the world and would contribute substantially as a philanthropist through the Bill & Melinda Gates Foundation. Know more about the contribution of Bill Gates to the computer revolution, and as a philanthropist, through his 10 major accomplishments. In January of 1975, while pursuing his studies at Harvard, Bill Gates and his friend Paul Allen read a cover story in Popular Electronics. 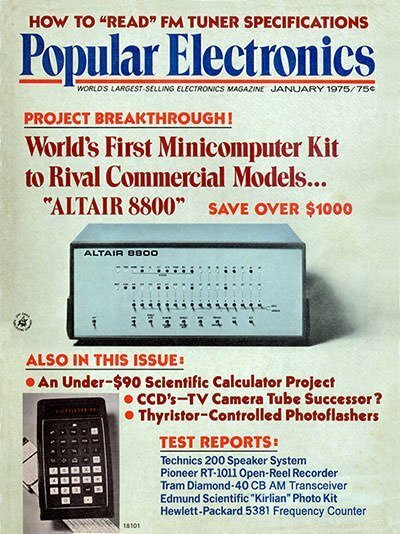 The story was about a $350 Altair 8800 microcomputer made by a New Mexico based company called MITS. Bill Gates later recalled that at that point they had understood that the price of computers would soon drop to the point that selling software for them would be a profitable business. Gates dropped out of Harvard wanting to be at the forefront of computer software business. He soon co-founded Micro-soft (later named Microsoft) with Paul Allen and in over a decade and a half the duo built the most successful software company in the world. Developed in 1963, BASIC had become a popular programming language in a few years, owing to the fact that it was easy to learn for beginners but had the necessary functionality that could be stretched by advanced coders. In the 1970s MITS had come out with their Altair 8800 microcomputer machine. Paul Allen and Bill Gates contacted MITS founder Ed Roberts telling him that they were developing an interpreter, and asked whether he would like to see a demonstration in a few weeks. What was of interest was that the duo had announced a non-existent product to gauge interest of the buyer. They neither had an interpreter and not even an Altair system on which to develop and test. The code was finally sold in 1975 for $3000 to MITS; and Bill and Paul were also hired to maintain and improve it. Many versions like 4K BASIC, Extended BASIC would follow and would spark the home computing market of the 1980s, appearing on computers like the IBM PC and the Apple II. BASIC interpreters remained the core of Microsoft’s business until the early 1980s, when it shifted to MS-DOS. 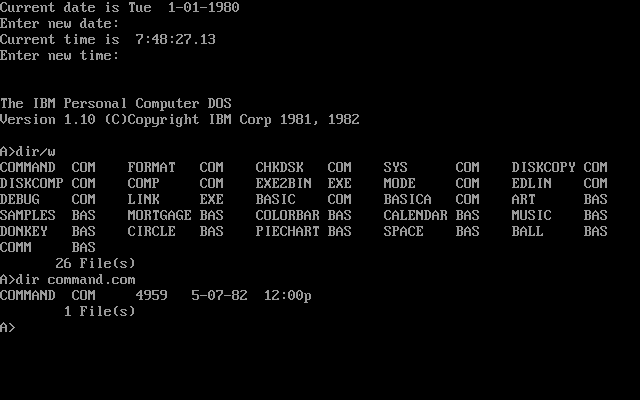 In 1981, International Business Machines (IBM), one of the world’s largest companies having a 62% share of the mainframe computer market, was planning to enter the personal computer market. At this time IBM was in touch with Bill Gates and Microsoft, which was the largest producer of computer programming languages with its interpreted BASIC. In 1980, Microsoft was not into the business of operating systems (OS) and most personal computers used Digital Research Inc.’s (DRI’s) CP/M as an OS. As fate would have it, IBM’s deal with DRI went poorly and Bill took the opportunity to become the exclusive licensing agent of 86 DOS or Q-DOS (Quick and Dirty Operating System), a software similar to CP/M. Microsoft then delivered it to IBM as PC DOS or MS DOS (Microsoft Disk Operating System). It would turn out to be a hugely favorable deal as Bill Gates, foreseeing that other hardware vendors would soon clone IBM’s system, did not offer to transfer the copyright on the operating system to IBM. As a result there was a rapid growth of licenses for MS-DOS, as software developers quickly moved to become compatible with IBM. By the early 1990s, Microsoft had sold more than one hundred million copies of MS-DOS making it one of the most successful software ever written. 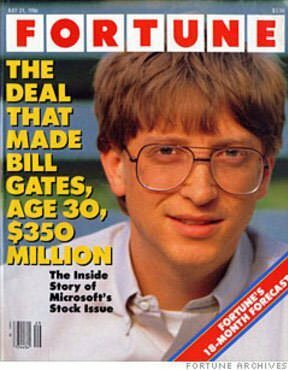 In the 1987 issue of the Forbes magazine, Bill Gates was listed among the 400 richest people in America. He was estimated to be worth $1.25 billion and was the world’s youngest self-made billionaire to be recognized by the magazine. He was 31 years old. The honor would be later held by Facebook founder Mark Zuckerberg at the age of 23 in 2008. Although MS DOS had established Bill Gates’s Microsoft among the most successful and leading companies in the technology revolution, they were yet to give their finest and biggest offering – Windows. It was arguably the game-changer in personal computer software. 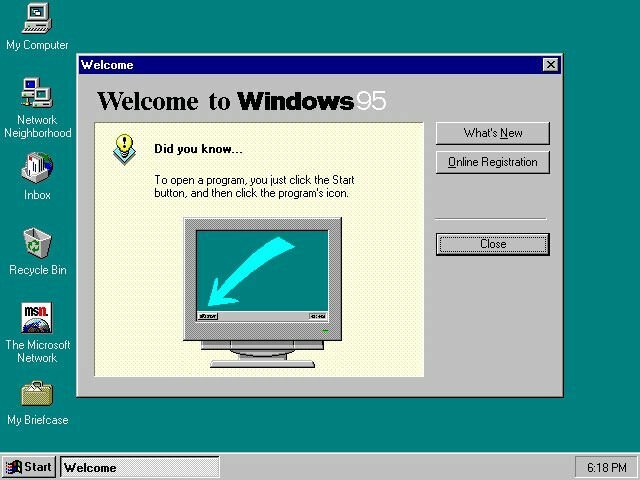 Windows 95 was released to enthusiastic customers in the August of 1995 and turned out to be the operating system (OS) that changed everything. Windows is currently installed in high majority of computers (some estimating it close to 90 percent) in the world. It powers many things ranging from business servers and mobile phones to retail displays and cash machines. Windows 1.0 was originally a graphical version of MS DOS as a competition against Apple’s ‘Lisa’. Inspired by the advances in the Xerox PARC, Windows 95 gave the most commercially successful version of a GUI using the WIMP “window, icon, menu and pointing device” paradigm with revolutionary features like plug and play and multitasking. Riding the success of MS DOS and his other successful software during the PC revolution Bill Gates was named the richest man in the world at the age of 39 in 1995 by Forbes. He would be consistently ranked among the richest of the rich by the magazine till date; also topping the list in 1996, 1998 to 2007, 2009 and 2014 to 2017. In 1999 Gates was estimated to be worth $101 billion, there were reports that in 1996 when the company’s stocks hit a high, he was earning close to $30 million a day. In 2018 Bill Gates is ranked behind Amazon’s Jeff Bezos as the second richest man in the world. He is valued at $90 billion. 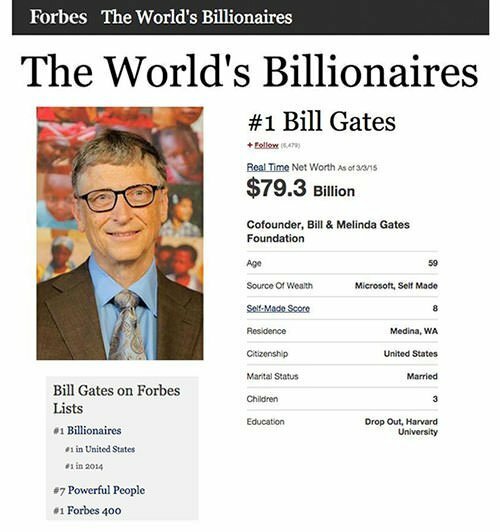 Established in 1994 as William H. Gates Foundation, his foundation was later relaunched as the Bill and Melinda Gates Foundation in 2000 after combining 3 family foundations and Gates donating stocks valued at $5 billion. The foundation aims at improving healthcare, expanding education opportunities and reducing extreme poverty. It is considered among the largest and most notable private foundation in the World holding close to $50 billion in assets. Organized through its Global Development Division, Global Health Division, United States Division, Global Policy & Advocacy Division and Global Growth & Opportunity Division the foundation has made many notable donations since its inception which run into tens of billions of dollars. Notable recipients include the GAVI Alliance (formerly the “Global Alliance for Vaccines and Immunization”), WHO, The Rotatory Foundation of Rotatory International, Global Alliance for TB Drug Development, PATH and John Hopkins University. It is perhaps very difficult to imagine our lives and work without the personal computer in the past few decades. In the 1970’s and early 80’s, computers were not as common as they are today. It was a time when the idea of personal home computer was mocked by many. The tech revolution required better machines, better technologies, better software but most importantly making things simpler. The PC would do exactly that and make the computer personal with user friendly tools or software like Windows, Office, Paint and many others. Thus computing, which was remote and foreign to most people, would become a personal and easy experience. 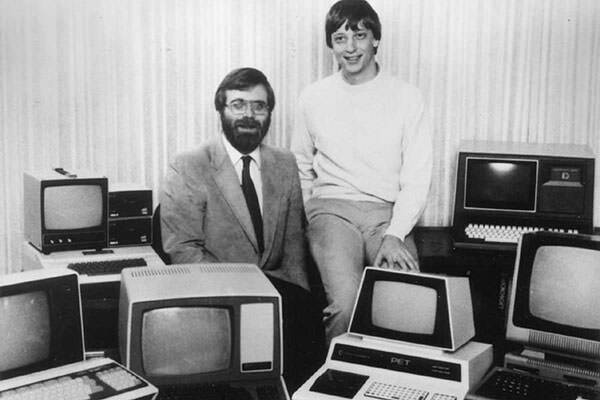 Establishing Microsoft in the early days of microcomputers, its founders Bill Gates and Paul Allen dreamt of putting a PC on every desk and every home. A dream that would propel a small company of just 30 people to a multi-billion global force that employs 124,000 individuals and affects millions of lives as the leading software company in the world; and Bill Gates has been a pioneer of this change. More than 4 decades after his dream of ‘a PC on every desk’, more than a billion PCs are in use today. Microsoft platform has become a target of a massive community of developers which have supplied windows with 16 million programs. Most world business run on Microsoft based IT infrastructure including Windows, Ms Office, Azure cloud services, Skype and more. Microsoft tools are also preferred by many governments around the world and they also play important roles in the educational institutions around the world. Bill Gates has been honored and recognized throughout his eminent career in the software industry and as a philanthropist. 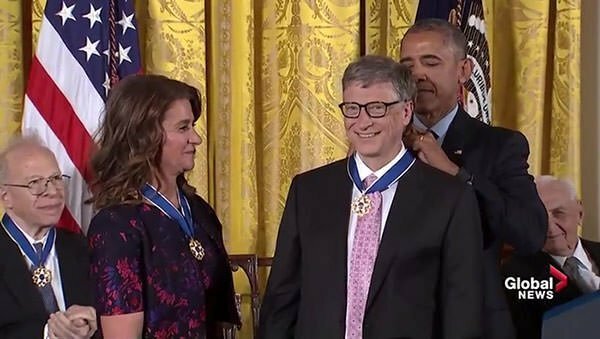 In 2016, Bill and Melinda Gates were awarded the Presidential Medal of Freedom by President Barack Obama, which is the highest civilian award in the United States. Other notable awards given to Gates include the National Medal of Technology and Innovation (1992); 20th Distinguished Fellow of the British Computer Society (DFBCS, 1994); Satellite Special Achievement Award for Outstanding Contribution to Entertainment New Media (1997); Bower Award for Business Leadership (2010); Silver Buffalo Award by the Boy Scouts of America (2010); Padma Bhushan (2015), India’s third highest civilian honor; and Legion of Honour (2017), the highest national award in France. Bill Gates was also named by the Time magazine as among the 100 most influential people of the 20th century.